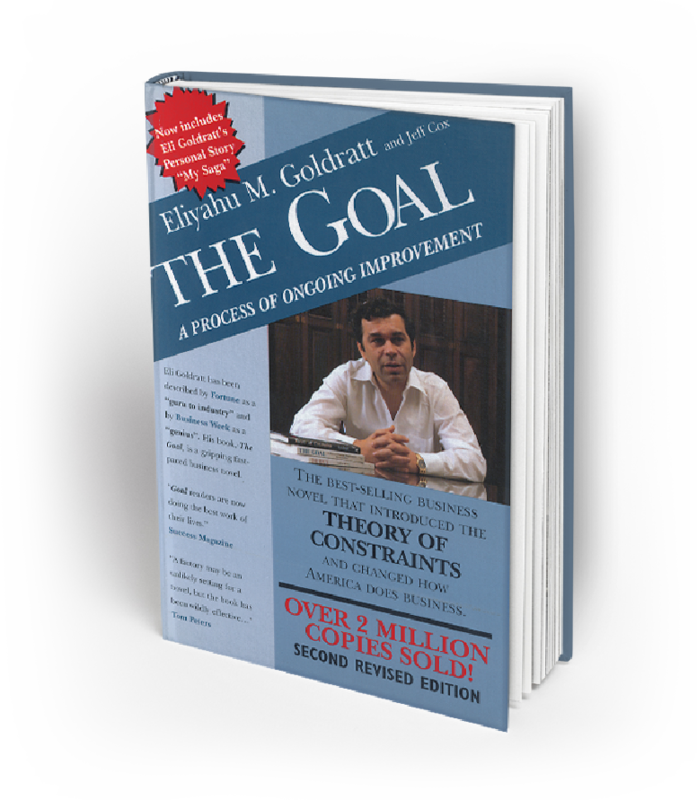 Learn how Theory of Constraints (TOC) can fast-track your good ideas into flawless execution. Two days of real-life examples from the real world. All modern initiatives fail in execution. Strategy is generally good. Execution's the problem. At the heart of each of these failures of execution is a scheduling problem. Dr. Eli Goldratt alluded to this problem in his best-selling TOC book, The Goal. Since then there has been a small army of dedicated practitioners who have taken that central idea and turned it into scheduling approaches for shop floor, distribution, software development, sales and marketing, project management, accounting and more. Many of these organizations are posting best-in-class, world-beating results. They are using TOC to solve execution problems in all parts of the business—from marketing and sales at the front-end to production, operations and fulfilment to the back-end. Come and hear these stories AND how to replicate their results. It’s free. No penalty for cancelling. Numbers are limited for the 2018 TOCICO Conference. The cocktail event even more so. Both are expected to sell out. Add your name to our priority list and you can secure yourself some extra time to make a final decision. We’ll reserve you a free ticket to the exclusive cocktail event (only 100 available). We’ll let you know when either the conference or cocktail event is near capacity and give you the first right of refusal to give up your seat. It’s the favorite hour of the conference: the TOCICO cocktail party. Join the speakers and fellow delegates for drinks and a short, interesting talk on the future of TOC. There will be drinks, appetizers and the opportunity to mingle and rub shoulders with like-minded people. It starts at 5.30pm on day one (just after the last session) and finishes in time to get ready for the TOCICO dinner. Country Afghanistan Albania Algeria Andorra Angola Antigua and Barbuda Argentina Armenia Australia Austria Azerbaijan Bahamas Bahrain Bangladesh Barbados Belarus Belgium Belize Benin Bhutan Bolivia Bosnia and Herzegovina Botswana Brazil Brunei Bulgaria Burkina Faso Burundi Cape Verde Cambodia Cameroon Canada Central African Republic Chad Chile China Colombia Comoros Republic of the Congo Costa Rica Croatia Cuba Cyprus Czech Republic Denmark Djibouti Dominica Dominican Republic Democratic Republic of the Congo East Timor Ecuador Egypt El Salvador Equatorial Guinea Eritrea Estonia Ethiopia Fiji Finland France Gabon Gambia Georgia Germany Ghana Greece Grenada Guatemala Guinea Guinea Bissau Guyana Haiti Holy See Honduras Hungary Iceland India Indonesia Iran Iraq Ireland Israel Italy Jamaica Japan Jordan Kazakhstan Kenya Kiribati Kuwait Kyrgyzstan Laos Latvia Lebanon Lesotho Liberia Libya Liechtenstein Lithuania Luxembourg Madagascar Malawi Malaysia Maldives Mali Malta Marshall Islands Mauritania Mauritius Mexico Micronesia Moldova Monaco Mongolia Montenegro Morocco Mozambique Myanmar Namibia Nauru Nepal Netherlands New Zealand Nicaragua Niger Nigeria North Korea Norway Oman Pakistan Palau Panama Papua New Guinea Paraguay Peru Philippines Poland Portugal Qatar Romania Russia Rwanda Saint Kitts and Nevis Saint Lucia Samoa San Marino Sao Tome and Principe Saudi Arabia Senegal Serbia Seychelles Sierra Leone Singapore Slovakia Slovenia Solomon Islands Somalia South Africa South Korea South Sudan Spain Sri Lanka Saint Vincent and the Grenadines Palestine Sudan Suriname Swaziland Sweden Switzerland Syria Taiwan Tajikistan Tanzania Macedonia Thailand Togo Tonga Trinidad and Tobago Tunisia Turkey Turkmenistan Tuvalu United Kingdom United States Unknown Uganda Ukraine United Arab Emirates Uruguay Uzbekistan Vanuatu Venezuela Vietnam Yemen Zambia Zimbabwe This is required. Each speaker will showcase real world, validated case studies of the successful application of TOC for extraordinary results across all parts of the business: from sales to production (and everything in between). Prepare to meet lots of smart people with a single-minded focus: to execute good ideas, faster and better than the competition for dramatic and sustainable results. Each speaker (and many delegates) has a deep understanding on the practical application of TOC that far surpasses esoteric theory. Choose from several tracks of interactive workshops dedicated to different strains of TOC that you can put into practise as soon as you return to the office. It’s not just all work. You’ll have the opportunity to mingle, relax and share stories over breaks and the cocktail party and awards dinner. Plus, it’s Vegas after all! Interested? Reserve your place now! Get a free ticket to the cocktail event (only 100 available: no penalty for cancelling). Registration fee does not include room price. Book your room direct with Luxor Hotel (luxor.com). Questions? Email Marcia at marcia@tocico.org or call +720 878 5464. Members receive a 10% discount on displayed ticket prices. TOCICO is offering certification exams on Saturday, April 28 from 8am - 4.30 pm. Please email Marcia Hutchinson for more information about the exams. To register for the TOCICO Fundamentals exam and all TOC Applications Certification Exams visit this page. I want to book. Take me to the registration page. Extra time to make a final decision. Extra time is great! It’s free to register and there’s no penalty if you change your mind and don’t buy a ticket. TOCICO 2018. ALL RIGHTS RESERVED.